Other Info:Special business rooms with workstation area, fax, laser printer and computer with unlimited Internet access. Short distance to business, shopping and entertainment areas. 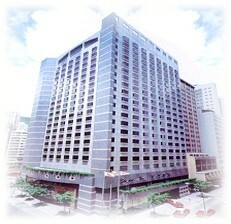 Walking distance to Mass Transit Railway stations (Wanchai Admiralty) & Hong Kong Convention and Exhibition Centre. Limousine and deluxe coach service to/from the airport. Complimentary shuttle bus service to Admiralty, Cause way Bay and Convention Centre is available on schedule during Weekdays.